Purchasing a spinning reel can be a frustrating endeavor for many. Some of the prices today are outrageous and many of the budget-friendly models I've tested have been subpar, to say the very least. The hard truth is simple: A lot of consumers feel forced to pay hundreds of dollars for a functional spinning reel. There are, however, several companies that are working hard to change that. For example, I've been testing the new Daiwa Legalis LT lately and I certainly think it's one of the best buys in fishing right now. It's priced at just $69.99 and for the most part, it performs just as well as some $200 reels in my collection. I'll go over some key characteristics of this spinning reel and allow you to decide for yourself. 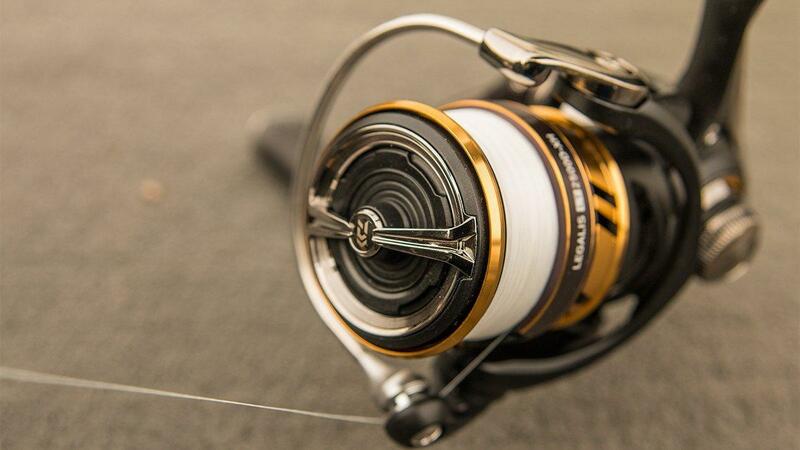 The Daiwa Legalis LT is one of the smoothest spinning reels I currently own, without a doubt. Daiwa's Air Rotor and Air Bail systems allow for seamless operation and performance, whether you're using reaction baits or bottom-contact presentations. I've been using the 2500D-XH model with a 6.2:1 gear ratio and the silkiness is impossible to ignore. There's no play anywhere in this reel and you won't feel any grit while using it, even when you're fighting larger fish. It's also just as quiet as the more expensive reels in my boat. The biggest gripe I have about some reels in this price range usually revolves around the drag systems. I've tested several that will surge and cause fish to pull off and I've even had a few drag systems completely seize and become inoperable. I've said it before and I'll say it again: If your spinning reel has a cheap drag system, you're putting yourself at a significant disadvantage. 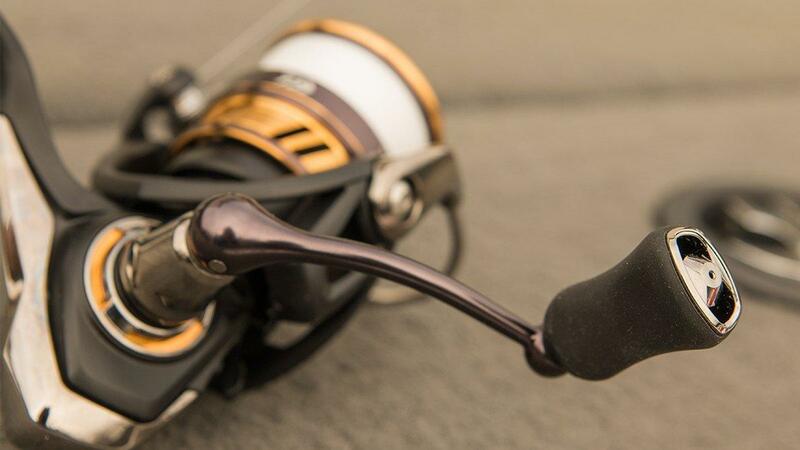 The Daiwa Legalis LT, however, has a drag system that can be fine-tuned with ease. Minuscule adjustments are extremely easy to make with this reel and I've not experienced any surging or binding whatsoever throughout my testing. Whenever I'm "fun fishing", this reel has allowed me to enjoy the fight a little more than usual because I'm not constantly worried about babying the drag system. The drag system dispenses line evenly throughout the fight and with every head shake or turn the bass makes, the reel handles beautifully. As mentioned earlier, I've been using the 2500D-XH model and it weighs 7.2 ounces. While it's not the lightest reel I've had an opportunity to use this year, it certainly won't make you uncomfortable. Most spinning reels you'll find under the $120 range tend to average roughly 8 ounces, so this is certainly an improvement. The carbon light material housing definitely helps reduce unnecessary weight and the machined aluminum handle eliminates any flexing or cracking you might experience with some budget-friendly spinning reels. I have several fishing buddies who use inexpensive spinning reels and a lot of them have some serious line management issues. More specifically, my tournament partner has a bad habit of buying "bargain bin" reels and some days I'd swear he spends more time messing with tangles than he does fishing. A lot of 'em just don't do well with different line types. Thankfully, the Daiwa Legalis LT works wonderfully with braid, monofilament and fluorocarbon lines. 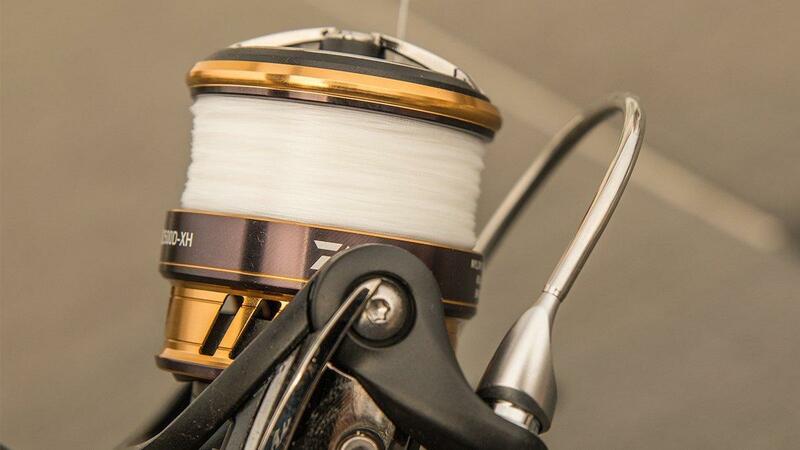 The small lip at the top of the bail seems to minimize the size of the line coils as they leave the reel, which results in less blank slap and fewer tangles throughout a day of fishing. I have had two tangles throughout my testing, but they're not "day-enders" if you know what I mean. It's just a few small loops that I've been able to fix in under 10 seconds or so. Fishing isn't much of a fashion show to me, but I understand that a lot of anglers do care about the way their gear looks; I can respect that. 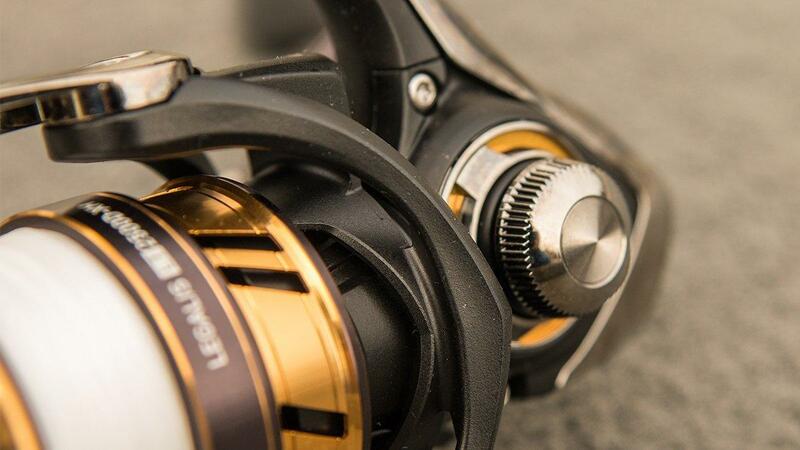 The Daiwa Legalis LT should be right in your wheelhouse if you're concerned with aesthetics. 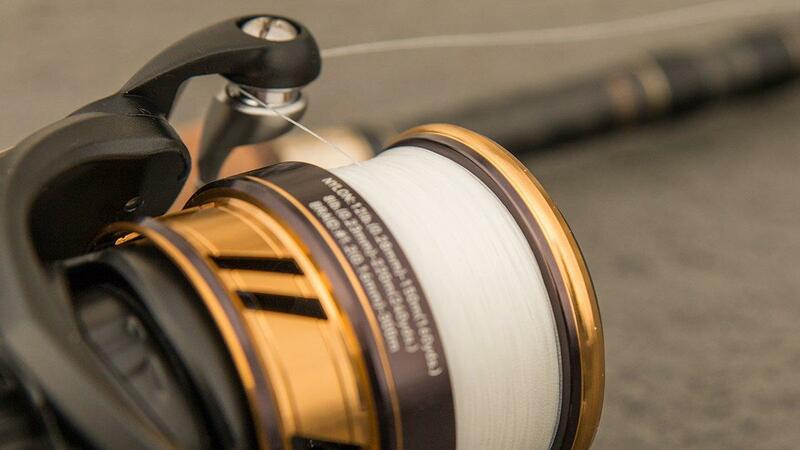 It has a beautiful and dynamic gold/black color scheme that makes it look like a much more expensive reel. 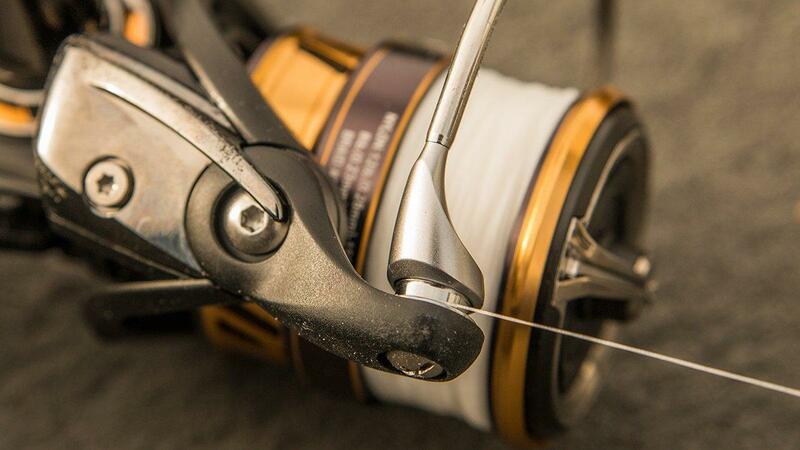 It's a sharp-looking reel, especially if you have a black or silver rod to pair it with. I'm really impressed with this reel and its performance is really tough to beat, especially with its $69.99 price point. Whether you're looking to wind finesse crankbaits, twitch weightless plastics or skip boat docks with a shaky head, I think this reel has just about everything you'll need. The Daiwa Legalis LT is available at TackleWarehouse.com.